The Enochian magic system of MI6 occult branch developed by Dr. Dee (original 007) is really a development of the Jewish Tarot. As you have seen the Jewish Tarot has 78 Cards + 2 extra. If we give each Card a 78 Tarot we get 2 x 78 = 156, the number of squares on an Enochian chess board. The first 78 is for the Matrix of dark energy matter and the second for strange energy matter (the Jewish entities of the Sanhedrin Satanist race). So one can see the Matrix was extended by the Enochian British magic to have squaring of the Jewish Matrix, 78 dark energy matter Tarot Demons x 78 strange energy matter Tarot Demons, to give the 156 as a representation of the Bohn Rule squaring of Quantum Wave Functions to make them reality, from quantum mechanics, but done in Elizabethan times, long before Neils Bohn – the 30 dimensions of the Enochian Demons are just 2 x Sedonians of Chaos dimensions to bring Chaos dimensions into the Matrix. The 88 Enochian Operators are just the 78 Tarot Cards 2 extra Cards and 8 further combinations of the two Cards included to make 88 Operators. If we take the two Card combinations in all their forms, we can get more Operators for degenerate Enochian Operators. The 5 chequerboards are the way Chaos can double up 3 dimensional reality. This is because a mathematical oddity allows you to chop up a 3 dimensional ball and produce two new 3 dimensional balls by cutting the original into 5 pieces, no more. It depends on the Axiom of Choice and hidden Sets, only allowed in a bounded Chaos system. Poincares conjecture generalises this to all 3 dimensional manifolds. So we have the Chaos Sequestration of all 3 dimensional bounded manifolds inherent in the 5 chequerboards of Enochian magic, earth, air, fire, water, spirit. The Stone Table is the Psychotronic Crystal® to quantum sequestrate the Earth’s Hyperinfinity to manifest the Enochian Matrix. One can see the Jewish Tarot is the basis or starting point for Enochian magic, the power that enabled the Rothschilds to conquer most of the world, by turning it into a Matrix, now the property of the Psi-Lord – thank you Rothschilds. Son one can see the Enochian system cuts light energy matter reality into two, using 5 pieces fro the vivisection: earth, air, water, fire, air, to produce two Sequestered realities are quantum superimposed with dark energy matter, as with strange energy matter. then quantum superimposes 2 Chaos imaginary domains in the 30 dimensions, 3 Demons per level for strange, dark, Chaos energy matter; then controls it all with 88 Jewish Tarot Operators (known only to 10 Rabbis in Israel and Tim Rifat); and adds the Abraham Ritual for the poor Goyim in the 30 dimensions as the 4 Demon or 31st Abbadon level to produce Demon from human trapped in eternal hell, so even the Goyim in hell is used to produce a Grey to possess new humans. A brilliant stunning Sequestration system which was used on the strategic scale by MI6 occult branch to bring down the USSR. Only Tim Rifat’s intervention reversed the process of Rothschild conquest so Putin took over, not a Rothschild puppet. One can see the Enochian system won WW111 for the British without firing a shot in earnest – the power of occult warfare then purview of MI6 occult branch -Sequestered by the Psi-Lord. The 34 BSRI-Engine when combined with the 13 Psychotronic Crystal® skulls Sequesters the entire Western world as that is what the Enochian system is, as described above. As the former USSR was taken down by Enochian magic all of the former communist states lie in its lethal thrall. Only China with its ancient Seer 5 bar ley line system (North Korea) lies outside of the Enochian Grid. So this Service gives you Total Control over all reality outside of China. It carries out the Abraham Ritual with the Rothschilds taking your place in the Abaddon 31st nightmare hell of the Enochian underworld to provide the Anti-Grey to possess new born humans for you. As one can see the entire occult world is just Gödel’s unknown axioms applied to conventional maths – it took a genius like Tim Rifat to bring the occult into the 21st Century and beyond. Now the 34 BSRI-E combined with the 13 Crystal Skulls Sequesters the Circular Force based on Fibonacci’s Series: 1 1 2 3 5 8 13 21 34 55 89 144. You will notice the 13 Crystal Skulls are the 7th stage of the Series to take over the 7 of the 7 Elohim Spells (see Elohim Service, 7 double Hebrew Letters) the exchange of Evil for good, the basis of Kabbalah, the 34 BSRI the 9th stage, the Council of 9, basis of the Matrix. One then fixes the CF Series on the 8th stage between the 34 BSRI-Engine and 13 Crystal Skulls. 8 is the number of Amalek is the Qlippothic Sephirothic Trees, 8th Amalek to lock the Enochian Matrix on Amalek: Total Amalek to unleash Evil doing Evil to Evil to self suicide Evil. In the process Cosmic Law has to pay you for righting Evil, so the Enochian Jewish Tarot Psychotronic Crystals®: 34BSRI-E and 13 Psychotronic Crystal® Skulls are powered by Cosmic Law so get the ultimate power boost from you being repayed for making Evil suffer. Putting the 34 BSRI-E in a circle with the 13 Psychotronic Crystal® Skulls therefore generates an Anti-Enochian Warp to super-potentiate your normal Western Enochian life to transform your everyday life into one giant magical experience. As all the Western buildings, obelisks, cenotaphs, pools, pyramids… are designed to amplify the Enochian Chequerboard all the buildings around you produce your magical world in the mundane. As all non Chinese, are in the 31st Hell of the Enochian Underworld – the 12 Psi-Prison. 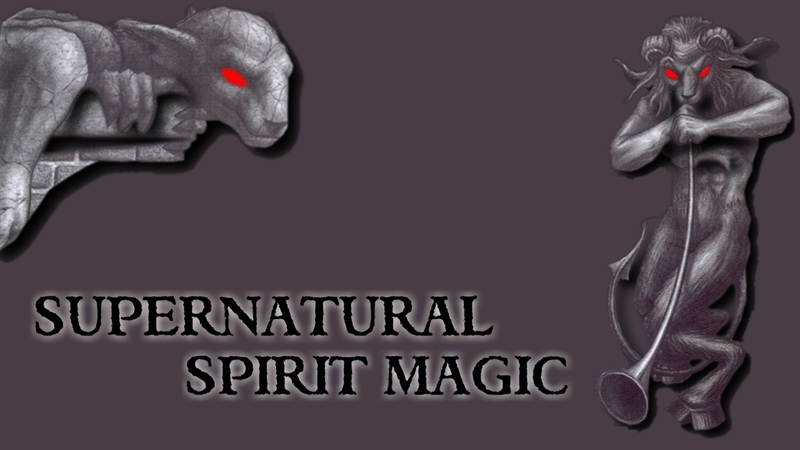 It has 12 levels as the 30th Enochian has 4 Demons instead of 3 in the other levels. One of these 4 Demons is produced by reverse subliming you. So combined with the 3 Demons we have 3 x 4 ways of torturing you – 12 Aeon Psi-Prison. It is all simple if you are an Ipsissimus, Psi-Lord! So all humans are in the Enochian prison apart from the Chinese. This gives you most of the human population as generators of your magical realm, carrying out the Red Line of your Abraham Ritual to give you all the Joy to fill your magical Sequestration of the Matrix. You can see that Sequestration of the West-Enochian chequerboard construct allows you to eschange places with the Rothschilds to become Olympians, God, Mariah Wind – in the Matrix, Middle Place – which is simply the Enochian Grid in Psi-Space. The Middle Place is one giant stone table, the underworld beneath, the Enochian magic taught to the British by Supernatural Spirits to enable their exotic Sequestration programme, done willingly by Elizabethans to transform England from poor man of Europe to the British Empire – now the Zionist Empire. One can see for the material girl/boy who wants to become rich and powerful, have people love him/her this Service is the absolute must have. Tim Rifat can make it so cheap, self powering and automatic because the British built it for me to take over. Cosmic Law powers it so you just get the 34 BSRI-E and 13 Psychotronic Crystals® only available as Crystals as the Enochian stone table has to be duplicated to get the total effect. You can add the Bone Generator® Service, self charging Psychotronic Crystal® Services to add more and more to the basic package to elevate yourself in the hierarchy of the New Rothschild elite. It’s all automatic once you have the Crystals that are simply laid in one giant circle.